Film “Waste Picking Stories” (Catadores de História). 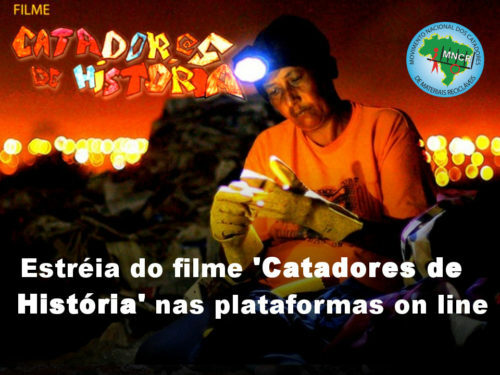 The feature film “Waste Picking Stories” (Catadores de História) directed by filmmaker Tania Quaresma was released on online platforms on December 13, 2018. It received three awards at the 49th edition of the Brasilia Festival of Brazilian Cinema. “What we heard the most during all of the shooting process was about the importance of men and women waste pickers being seen, being acknowledged,” said Tânia Quaresma. The film is already available in youtube.